With 36 illustrations. 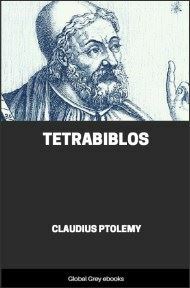 First published in 1647, as Christian Astrology, this is one of the best known post-classical works on Astrology. The present edition, heavily edited by 'Zadkiel,' (Richard James Morrison) was released under the current title in 1852. 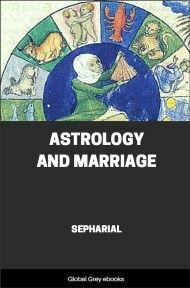 Horary Astrology, the subject of this book, interprets planetary positions to answer a wide range of questions, from lost dogs and stolen fish, to the death of kings. While there is a basic repertoire of interpretations, (e.g., Saturn bad, Venus good), the horoscope is used as a jumping off point for the astrologer's intuition. And Lilly apparently had spectacularly good intuition. His famous prediction of the London fire of 1666 was so accurate that he was suspected of starting it, a charge he was later acquitted of. Lilly also used Astrology in medical practice and this book discusses the use of horoscopes in diagnosing diseases, determining whether a patient will die or get better, and so on. 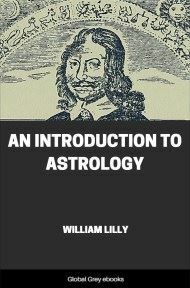 AFTER a lapse of 205 years since the first publication, in 1647, of Lilly's Introduction to Astrology, there would be no necessity for an apology for its re-appearance, were it not for the prevailing fashion of the day, which is to rail at and vituperate that science, and all who dare to say a word, not in its favour, but in favour of examining into its merits, with a view to ascertain what were the grounds on which our honest ancestors believed, and strictly followed, that which we conceive only fit for ridicule. As I have long outlived the days when I, like many others, thought myself at liberty to laugh at, and condemn, what I did not understand; the world will forgive me if I be bold enough to advise those who value truth, to spend a few days (and but a few days will be necessary) in examining the principles laid down in this work, and applying them to their own individual cases, before they join the herd of learned and unlearned in pledging their words to a false assertion, viz. that Astrology is an unfounded science. If any man will take the trouble to examine for himself, and should find that the prejudices of his education against the science of foreseeing the future, and many other matters which it teaches, are in reality well-founded, and that it has no claims to truth, then will he have the proud satisfaction of knowing, that his opinions on a matter of some consequence are based on experiment, and are the result of his own conviction, not of another person's assertion. On the other hand, if he find truth flash with lightning force upon his mind, and convince him that Astrology, notwithstanding prejudice and abuse, is founded in nature, and is indeed a noble science, given by a benevolent Creator to enlighten man in his wanderings, and enable him to shun the vice and folly which his passions throw in his path; then will he, if a spark of piety exist within his breast, offer thanks to that Creator for the blessing he has discovered. In either case, he must admit that I do him a service in putting forth this plain and simple means of discovering the truth. This is "the age of enquiry;" and yet prejudice continues to press down her leaden foot upon the neck of examination in this matter. I can only attribute the pitiable fact to the circumstance of there being no recent publications on those parts of Astrology which are the most easily acquired. The art of Nativities requires many years of patient experimenting before it can be well understood, and practised with certainty and satisfaction. 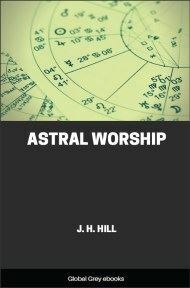 The art of Atmospherical Astrology, and also that of Mundane Astrology, alike demand much time to penetrate their arcana, and a good education to follow their practice. Hence we may account for their comparatively confined study: few have either the abilities or the opportunity to wrestle with their difficulties. But Horary Astrology, the chief subject in this work. may be speedily learned by any person of even moderate abilities; and may, as far as regards its elementary difficulties, be mastered in a few days' study. It may be well understood, and reduced to constant practice in less than a quarter of a year, and no one will find himself at a loss for occasions to test its reality or its utility; for his own avocations, and the affairs of his friends, will offer these almost daily. If a proposition of any nature be made to any individual, about the result of which he is anxious, and therefore uncertain whether to accede to it or not, let him but note the hour and minute when it was first made, and erect a figure of the heavens, as herein taught, and his doubts will be instantly resolved. 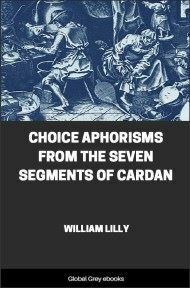 He may thus, in five minutes, learn infallibly whether the affair will succeed or not; and, consequently, whether it is prudent to adopt the offer made or not. If he examine the sign on the 1st house of the figure, the planet therein, or the planet ruling the sign, will exactly describe the party making the offer, both in person and character; and this may at once convince the inquirer for truth of the reality of the principles of the science. Moreover, the descending sign, &c. will describe his own person and character; a farther proof of the truth of the science, if he require it. Here, then, is a ready test of the truth of Astrology. Will its adversaries dare to make its application? It would, methinks, be better than relaxing the broad muscles, which ever denote ignorance and surprise, the feelings which, combined are the undoubted source of laughter; the only argument of the idiot, the ready resource of the ignorant. In editing this work, my chief object has been to render it useful to the student in Astrology and so, by forwarding the science, to promote the general interests of humanity. With this view I have re-written those parts of the work which modern discoveries in Astronomy and Astrology have rendered obsolete. Tables for calculating Nativities and a Grammar of Astrology are adjoined, and every ingredient of the science given which the student is likely to require. As regards the deviations I have made from the rules of the author, they are few, and founded on much experience. I have omitted his chapters on nativities, as in that part of the science he was less perfect than in any other; the reason being that he relied on essential dignities, which are, by my experience, of little, if any, avail. The rules for calculating arcs of direction will be found in the Grammar.